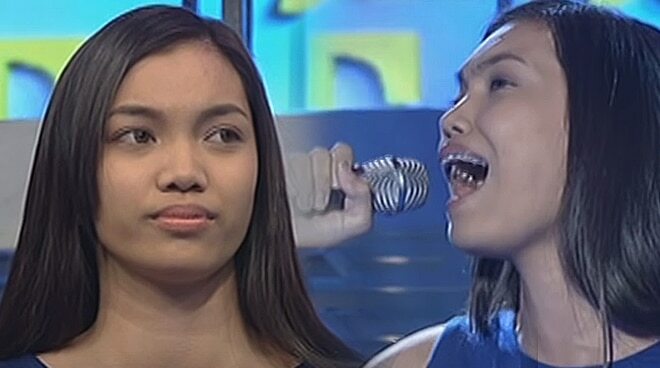 Back in 2016, Carmela Ariola, dubbed as the Gifted Musikera of Batangas, tried her luck on "Tawag Ng Tanghalan" but sadly failed after the hurados gonged her performance of Angeline Quinto's "Patuloy Ang Pangarap." Two years later, she got up and returned triumphantly after placing third runner-up in Wish 107.5's Wishcovery contest. Now signed under Star Music as part of the all-girl group Wishful 5, she joined the rest of the Top 5 finalists in the competition. "'Yung Tawag Ng Tanghalan experience ko, hindi lang kasi pagkatalo ang naranasan ko. I was 'gonged' so siyempre at first na-discourage ako na ituloy 'yung singing ko," she said in an exclusive interview with PUSH, recalling how she felt when the TNT hurados decided to prematurely end her performance on It's Showtime's "Tawag Ng Tanghalan." "Pero hindi ko pinagsisisihan na nag-try ako dun kasi that day made me stronger and that experience made me who I am today na mas determined. Mas naging push siya na mag-strive hard ako na abutin ang mga pangarap ko. Yes, maybe kulang ako nun but that moment made me ready for this day na pauni-unti kong naaabot mga pangarap ko," she added. Carmela Ariola, together with the rest of the Wishful 5, will hold their album launch concert at the Big Dome on Tuesday, June 19.